Have you been looking for a way to teach the biological molecules without confusing or scaring your students? The Molecular Puzzles could be the method you have been looking for! 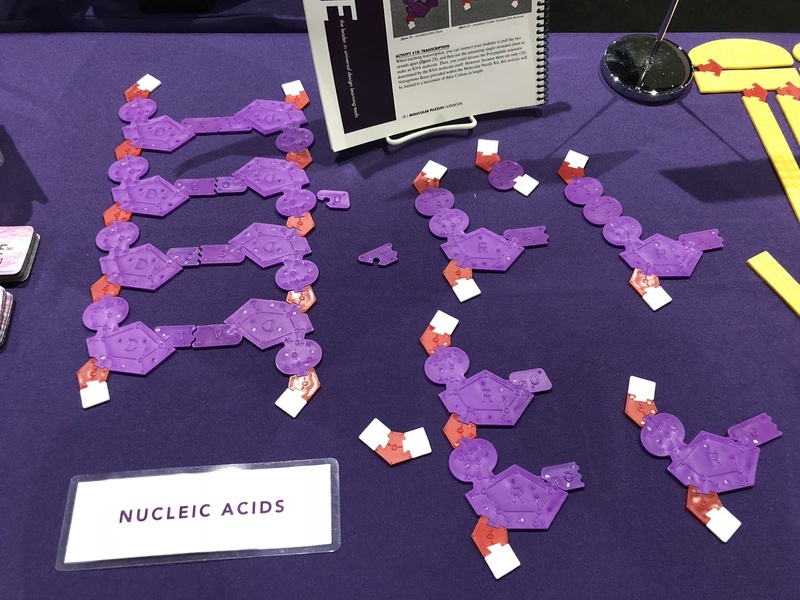 One kit of Molecular Puzzles contains enough pieces to make 12 glucose monomers, 12 amino acids, 12 deoxyribonucleotides, 12 ribonucleotides, 12 triglycerides, or 12 phospholipids. The kit comes in a handy tote bag and includes an instructor guidebook with student activity sheets. 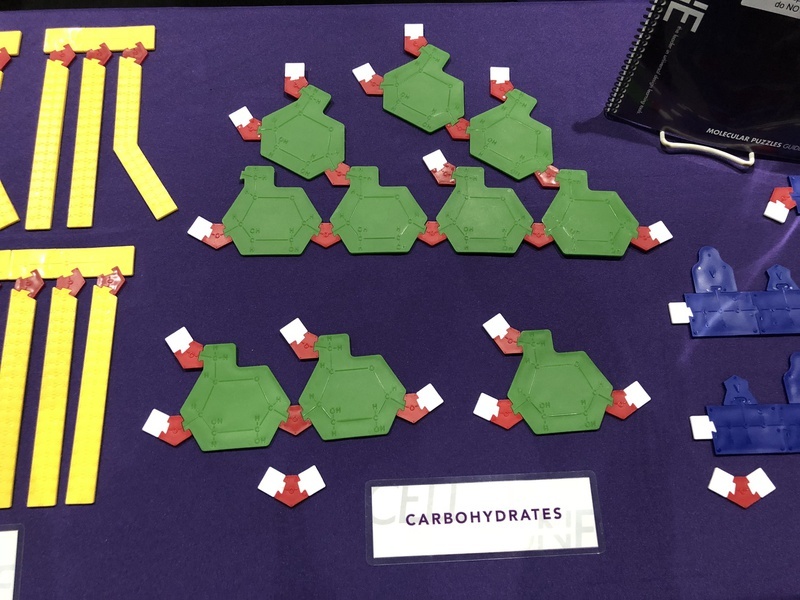 The carbohydrate pieces are green, protein pieces are blue, nucleic acid pieces are purple, and lipid pieces are yellow. Oxygen atoms (red) and hydrogen atoms (white) attach to the other pieces and allow for students to carry out dehydration synthesis and hydrolysis reactions. The puzzle pieces snap together (representing covalent bonds) in such a way that students cannot make an incorrect molecule. Because of that, students can learn about each biological molecule in groups, relieving the need for a lot of lecture and, instead, encouraging group discussions. 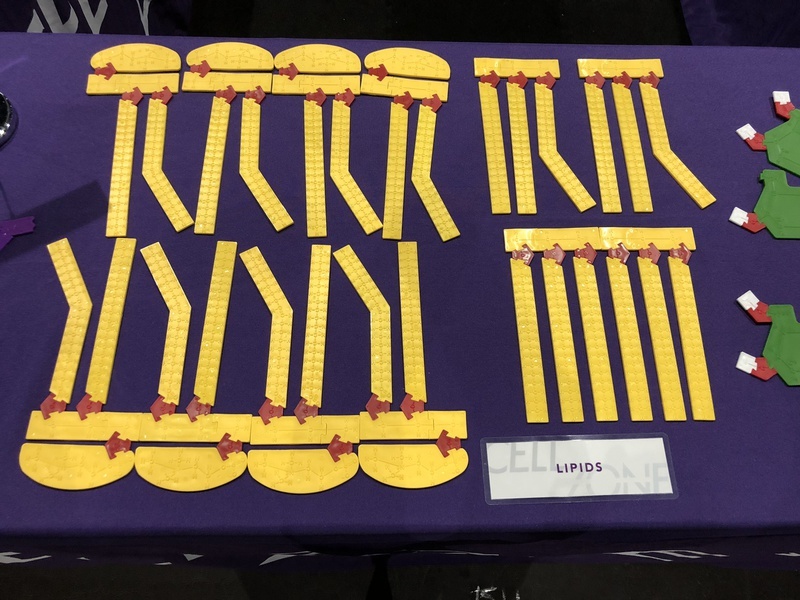 The monomers stand out as individual units, while still labeled with structural formulas; this makes them much easier to use than traditional ball-and-stick kits. The puzzle pieces are all dishwasher safe as well, so they can be used for a long time by many students. Because there are 12 pieces of each biological molecule group classes can easily operate with 6 groups. The puzzles cannot be used to teach all aspects of the biological molecules, since they are 2-dimensional. However, there are multiple lessons that can be carried out for each biological molecule group and students master the foundation of these molecules so well with the puzzles that they can readily incorporate additional information. 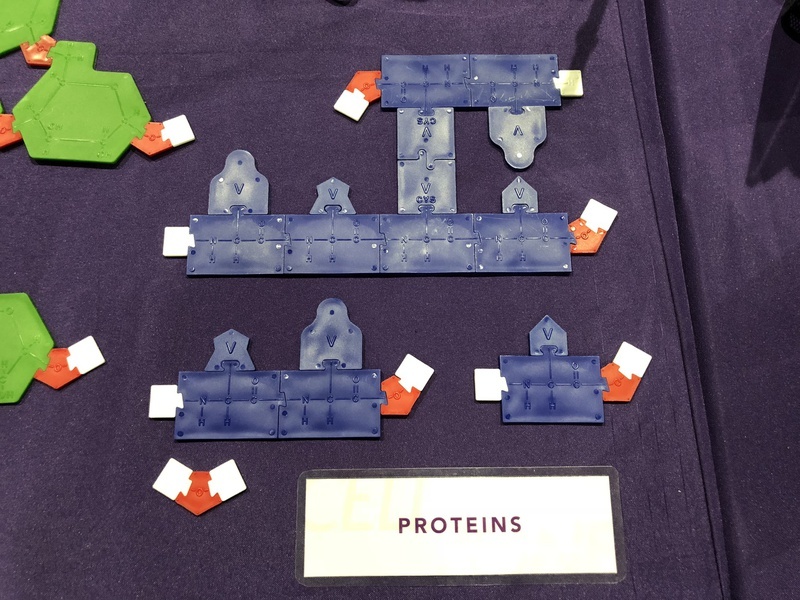 MP-101, Molecular Puzzles, $369 per kit. Shipping/handling is an additional cost of approximately $18 for one kit. MP-101-OH, Replacement Oxygen & Hydrogen Puzzle Pieces, $52.50 per set. Shipping/handling is an additional cost of approximately $7.50 for up to 3 packs.